In lieu of flowers, memorial donations may be made to Hazel Dell Cemetery and left at the funeral home. Alice Rosalie (Smith) Rector, age 78, of El Dorado Springs, Missouri, left this world for heaven on April 4, 2014, after an extended illness. Rosalie was born on October 18, 1935, to John Lewis and Madge Ellen (Grayson) Smith in Cedar County, Missouri. Rosalie was a beloved mother, grandmother, and friend. She was saved as a young girl at Concord Missionary Baptist Church in 1949. She was a faithful member of Hazel Dell Missionary Baptist Church for many years. She served as a Sunday School teacher at Hazel Dell, showing her love of people and her kindness to many young souls. Rosalie spent sixty wonderful years with the love of her life, Leroy. This union of love began on June 14, 1953. Their marriage was blessed with two children: Ronald Lee Rector and Regina Lee (Rector) Wilson. 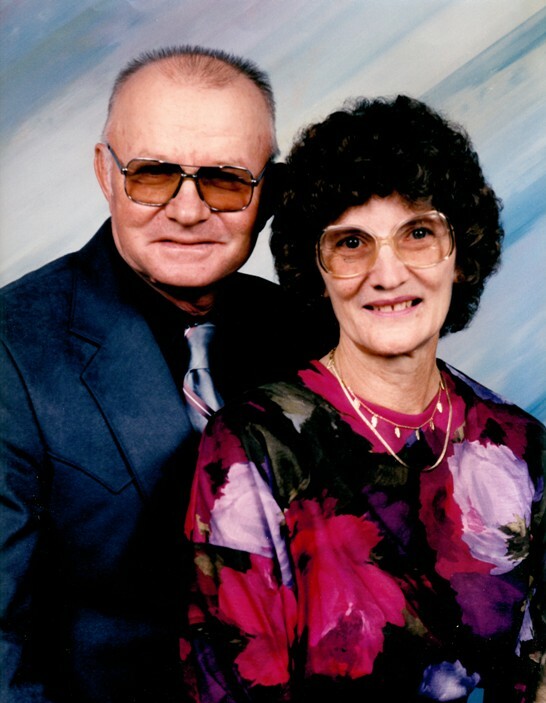 Leroy and Rosalie resided on the family farm near Cedar Springs until they retired in 1995 and moved into town. Rosalie’s career was a pathway by which she showed her compassion for helping people in need. She retired from Nevada Habilitation Center in 1995 after ten years of service. Prior to this, Rosalie was employed at the Community Nursing Home for thirteen years. She worked at the International Shoe Company before becoming a full time mother. She was always ready for a good laugh and taught everyone around her to laugh at bad situations. She always said, “Bad times never seem so bad if laughter is involved.” When Rosalie would walk in the door patients and employees alike would swarm her for their daily dose of Rosie. Rosalie’s favorite poem was “Fog” by Carl Sandburg. The fog comes on little cat feet. It sits looking over harbor or city on silent haunches and then moves on. Preceding Rosalie in death were her parents and one brother, William “Billy” Smith. Survivors include her husband of sixty years, Leroy, of the home; one son, Ron Rector and wife, Margaret, of El Dorado Springs, MO; one daughter, Regina Wilson and husband, Tim, of Alta Vista, KS; three grandchildren: Danielle Wilson, of Alta Vista, KS, Ashley Cumpton and husband, Larry, of El Dorado Springs, MO, and Jason Rector and wife, Ashley, of El Dorado Springs, MO; and three great-grandchildren: Baylen, Paige, and Aurora. Rosalie will be greatly missed, but we will rest easier knowing she is watching over us. Funeral services for Rosalie Rector were held on Monday, April 7, 2014 at 10:00 a.m. at Bland-Hackleman Funeral Home with Bro. Jason Cornell and Bro. Mike Owens officiating. Music was provided by Ron Alumbaugh, Shelby Barger, Emily Ford, and Amy Ford. Interment followed at Hazel Dell Cemetery under the direction of Bland-Hackleman Funeral Home. Pallbearers were Steve Bryant, Logan Alumbaugh, Rick Coale, Matt Stephen, Jason Rector, and Larry Cumpton. Honorary pallbearers were Tim Wilson, Ron Rector, Steve Stockton, and Kevin Stockton.